It’s been a while since my last post, but that doesn’t mean nothing’s happened. 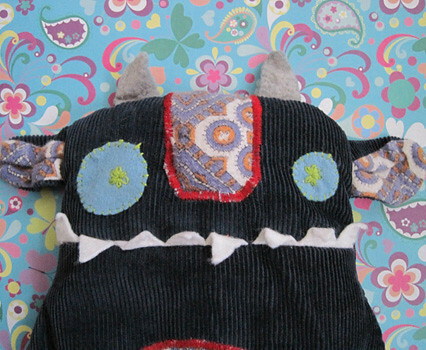 My Minimonster Wheat Bags, for a start, are now being sold at Flux, following a happy encounter at the last Christmas market. 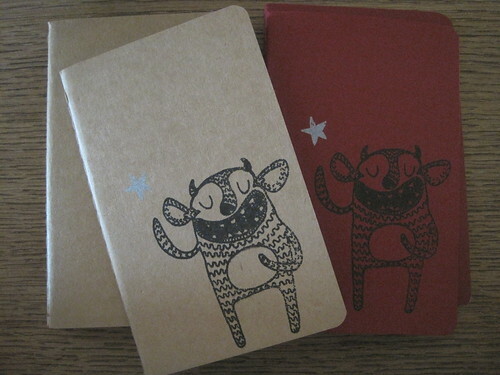 Also I found it was time to get the gocco out again, and promptly printed some monsters onto some moleskine cahiers. The silver star comes out way better on the red ones, but at the time I couldn’t get enough red notebooks, so went with the brown ones. I do like them both, though.